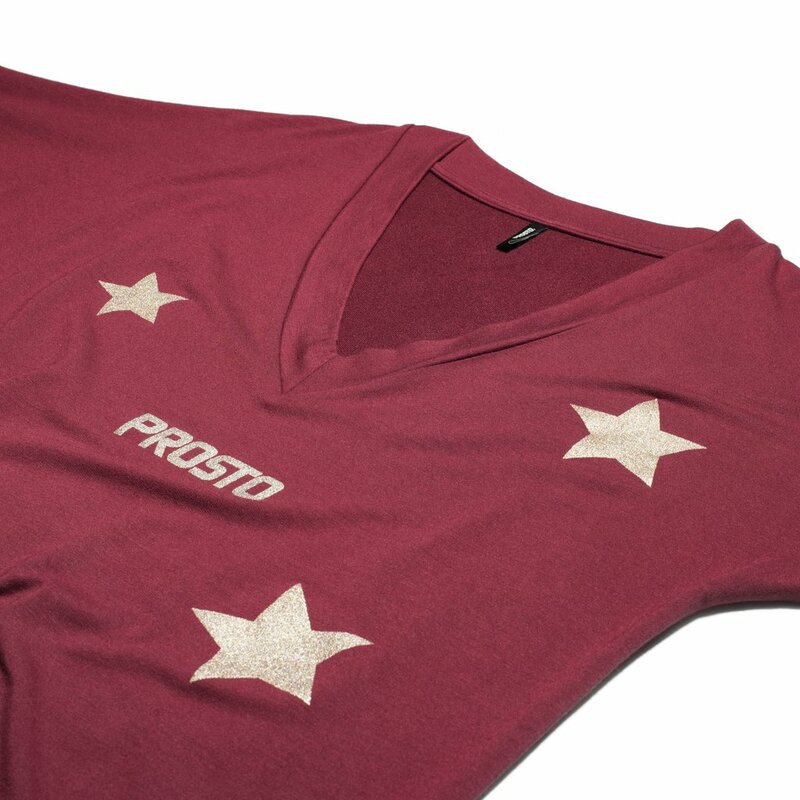 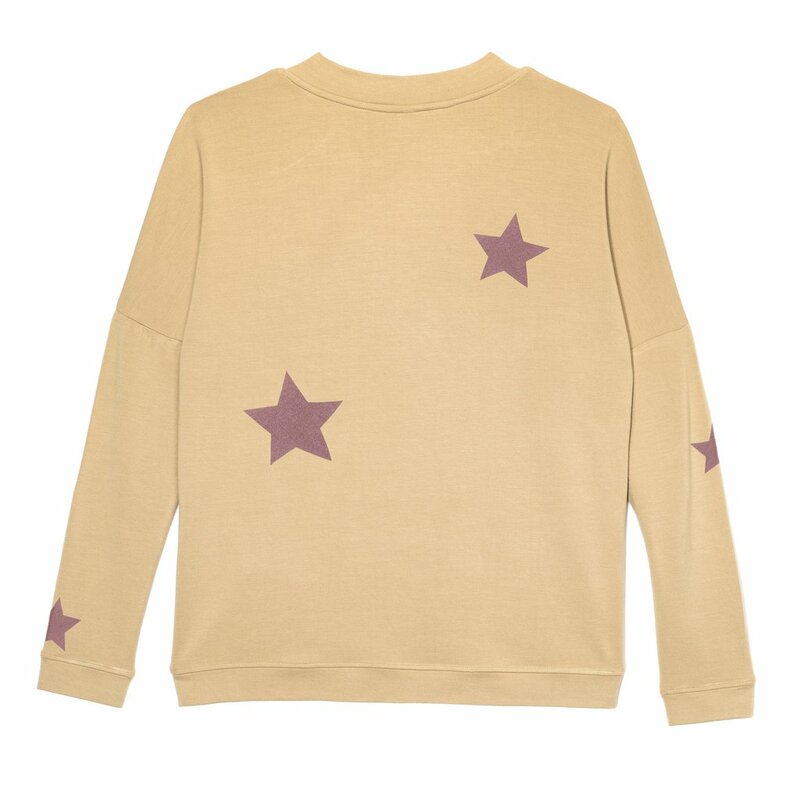 Comfy long sleeve oversize V-neck shirt featuring flat foil soft glittering logos. 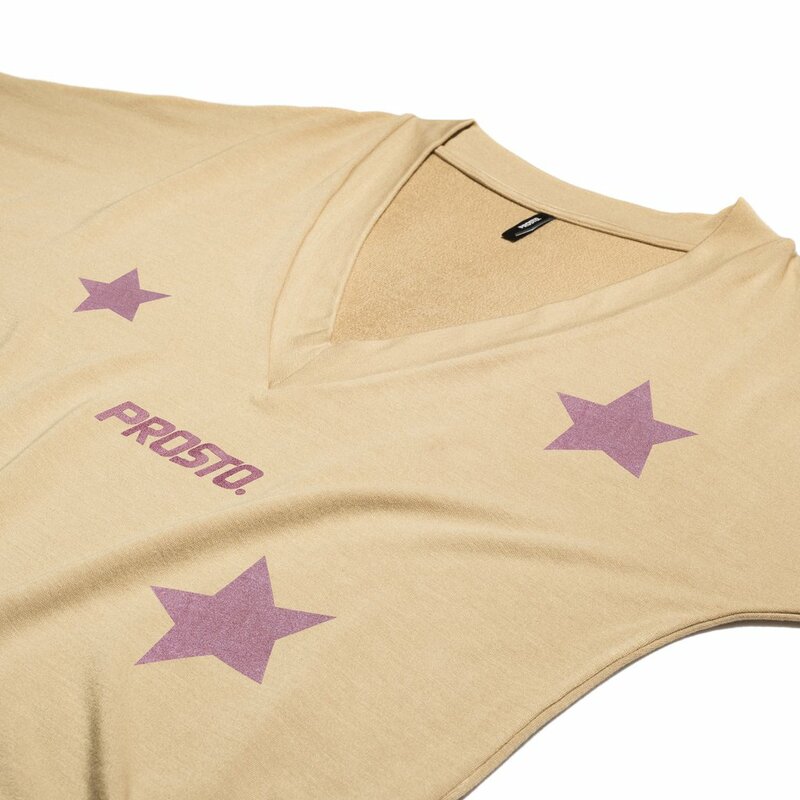 Teams well with other Homewear products. 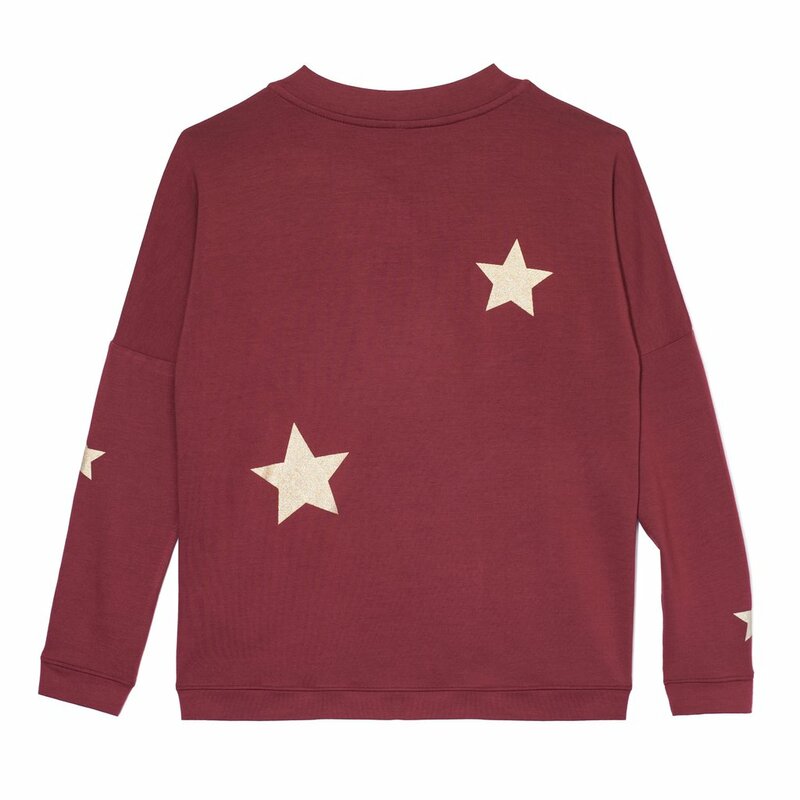 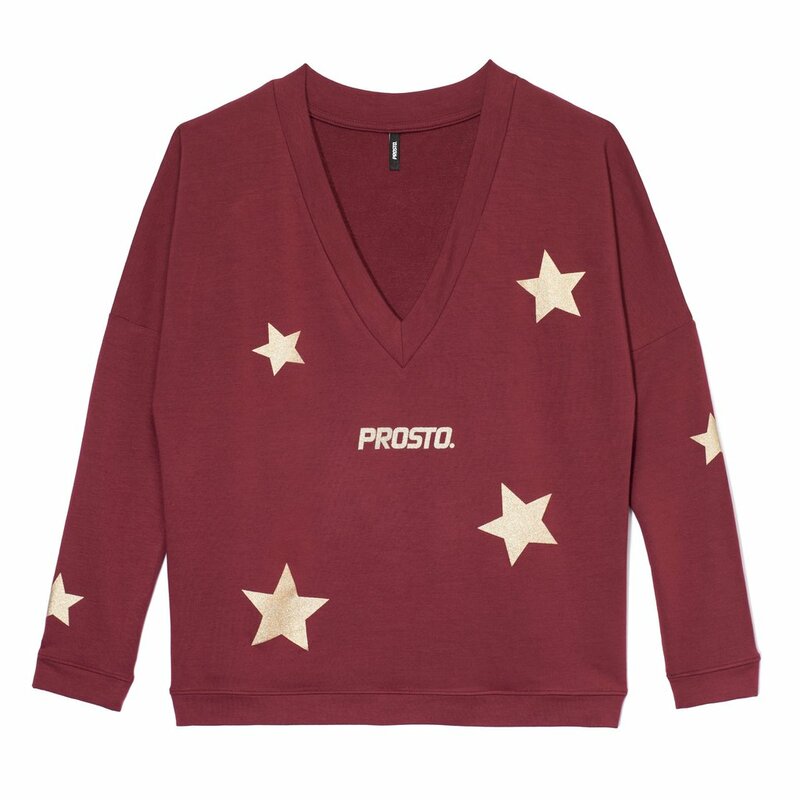 Star-shaped appliques give the collection a beautiful Christmas shine.